← Bright Horizons at Courthouse Station Opening Soon in Arlington! Kick off the weekend with a casual happy hour for parents and tots! Local fave band, King Bullfrog, will hit the stage with high-energy original, folk and blues songs carefully tailored to get children dancing and delight grownups. Your first beer or glass of wine is included with admission! This listing makes the round-up once again, as the government is still in shutdown mode… Many go-to spots to hang with kiddos in the DC area are still closed, but there are plenty of places to enjoy in the meantime. This post lists a bunch of great alternatives, including museums and outdoor places to visit while Smithsonian venues aren’t open and national parks may not be accessible. You might even discover a new favorite once you step off the beaten path! I’m a big proponent of getting outdoors, no matter what the weather. And this weekend should actually be precipitation-free with relatively mild temps, so get out and take advantage. 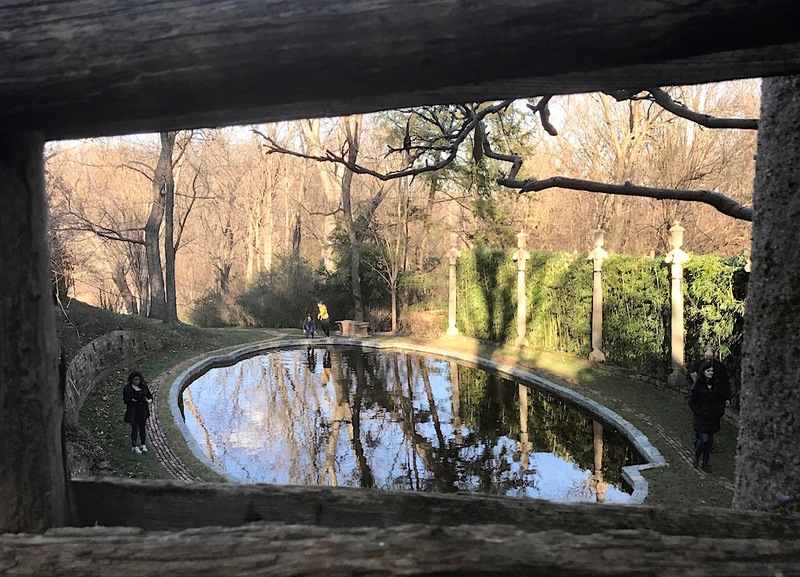 Roam free at Dumbarton Oaks (no admission fee this time of year), Brookside Gardens, or Meadowlark Botanical Garden. Go for a hike at Riverbend, Scott’s Run, or farther out at Cunningham Falls. Hit the playground at Watkins, Cabin John, or Clemyjontri Parks. Find even more ideas in this post about great outdoor pursuits with kids — just make sure it’s not a National Park site and, hence, closed. This weekend is your last chance to see this show that really does ROCK!🤘🏼It’s energetic, hilarious, and full of talent — the kids in the cast are incredibly impressive (don’t be surprised if your child asks to take up music lessons after seeing them)! Based on the hit film, the musical follows Dewey Finn, a wannabe rock star posing as a substitute teacher who turns a class of straight-A students into a guitar-shredding, bass-slapping, mind-blowing rock band. If you want to see a show that you and the kids will all really dig, take them to see this. Recommended for ages 8+. Enjoy a morning storytelling and performance kids for ages 5 and under. The series, occurring weekly and monthly, aims to teach children to engage with their community, learn to love performing arts, and become artivists! It take place the last Saturday of every month in Takoma Park; every Monday in Takoma, Hyattsville, and Brookland; and the last Tuesday of every month in Shirlington — always 9:30-11am. National Theatre’s free weekly program is back and kicking off the season with a performance from Synetic Theatre. Magic Balloon is a series of hilarious pantomime sketches incorporating music, ballet, clowning, and audience participation. Reserve free tickets online or get them day-of, but note they are distributed on a first-come, first-served basis there, and everyone must be in line to receive a ticket. The Washington Architectural Foundation’s “Design Like A Girl” program is opening its doors to girls ages 10+ in the Washington Metro area to meet women in a whole range of design-related fields—architecture, engineering, construction, urban planning, landscape architecture, and interior design. Join for hands-on activities, learn about programs for girls offered by WAF and partner organizations, and talk with girls who are already involved. All girls are welcome and Girl Scouts who attend can earn a District Architecture Center patch. Catch a Sensory-Friendly Screening of The Kid Who Would Be King on Saturday morning. The newest My Way Matinee from Regal gives everyone the opportunity to experience a movie once a month with the sound turned down and the lights turned up. Watch the trailer for the movie here. Check out the newest exhibit at ARTECHOUSE. Everything in Existence explores concepts of eternity and infinity and offers new perspectives from which to observe and consider our reality. It does this through several digital art installations, some of them interactive, and all of them very cool. Family friendly hours are 10am – 5pm, adults only hours with neat, original cocktails also available are 5:30-11:30pm. Come with your friends and family to the one and only Multilingual Education Fair for the DC region! Co-sponsored by key education institutions of the District, the fair features 70 exhibitors covering 17 languages to allow you to explore and deepen your linguistic and cultural skills, and learn about careers where languages are crucial. Resources for young professionals, families, and educators include language and culture organizations, embassies, language classes for all ages, apps, books, tutors, assessments, travel abroad programs, university programs, dual language programs, after school programs, daycares and multilingual recruiters. Ice skating is a quintessential winter activity, and there a bunch of places around the area where you can enjoy it. Glide above the Potomac at The Wharf; skim over the meandering paths at Canal Park; circle the rink at Washington Harbour; or do some shopping along with your skating at Pentagon Row, Tyson’s Corner, Veteran’s Plaza, Rockville Town Square, or Reston Town Center. If it’s raining, take it indoors at Fort Dupont Ice Arena in DC, Cabin John or Herbert Wells Ice Rinks in Maryland, or MedStar Ice Arena in Ballston. This post has details on all these ice skating locales in the area. Join Pop-Ups to Pop In! and welcome a new week with family, friends, and ice skating. Families can participate in a sing-along Havdalah ceremony led by Miss Ellie, followed by ice skating, hot chocolate, and activities. Check in with them at the Pop-Ups to Pop In! table to receive a discount on rink admission and skate rental. Great for all ages! If you love chocolate, check out this sweet event: McLean Rotary is hosting its 8th Annual Chocolate Festival on Sunday. Vendors include Dave’s Candy Kitchen, Seasons 52, Fluffy Thoughts, Capital Candy Jar, and many more. Patrons can buy treats to eat on site or to stock up for Valentine’s Day, and there will be a children’s game room with face painting and live entertainment throughout the day. American Heritage, a Mars company, demonstrates how chocolate was made in colonial America. Proceeds go to fund local charitable organizations. Join American Friends of Lubavitch (Chabad) to commemorate Jewish Arbor Day with plant-themed crafts. Paint your own planter, fill it with soil and seeds, and create a window sill garden! Kids of all ages are welcome to join this free event. Register in advance here. The Noyes Children’s Library Foundation will host The Noyes Fairy Tale Ball, a family dance party celebrating imagination, fun and—of course—books! Kensington Town Hall will be transformed into a fairy tale palace, with children invited to a Royal Procession before joining the fabulous A-Squad DJ on the dance floor. There will be crafts, photo-ops and a special Royal Reading Room with stories and songs. Costumes are encouraged for children and parents alike. RSVP on Facebook. At Washington Parent magazine’s Annual Camp and Summer Fun Expo, attendees can gather details about camp options and learn about summer activities for the entire family. Learn all about various kinds of camps — general, sports, residential, special needs, arts, STEM, special focus, and summer programs. You can also explore summer fun destinations like theme parks, vacation spots, and general summer happenings. There will be plenty for kids to do while parents focus on the programs for their children, including face painting, balloon arts, giveaways, and more. If you’re not feeling outdoorsy, you can still get a dose of the outside world in the comfort of the warm indoors at a nature center. There are several great ones around the area that offer lots of cool exhibits along with fun programs. Buddie Ford Nature Center in Alexandria, Watkins in Upper Marlboro, Potomac Overlook in Arlington, Long Branch in Falls Church, and Brookside in Silver Spring all make for a nice outing. * There are still a couple of giveaways running on the blog — tickets to Huckleberry Finn’s Big River at Adventure Theatre and a session of Spring Break Camp with RDU Tennis! * This documentary about the disaster that was the Fyre Festival is fascinating. So is this one. * Washingtonian Magazine just released its 2019 Very Best Restaurants List, and you can get a peek at the Top 5 here. * Even more reason why José Andrés deserves the Nobel Peace Prize.